In 1988 Ishihara makes her debut with her song “Horemashita”. From April 1989 until February 1992 she was the radio talk show host for the TBS late night radio program. Her single that was released in 1994 “Mikaduki Jyowa” was awarded the Japan Lyric Grand Title. In 1999 “Mirinzake” was awarded the Japan Cable Music award. The following year she performed at the NHK Kouhaku Utagassen. In 2001 she was elected to be the tourist ambassador for Sashie Cho in Hokkaido. 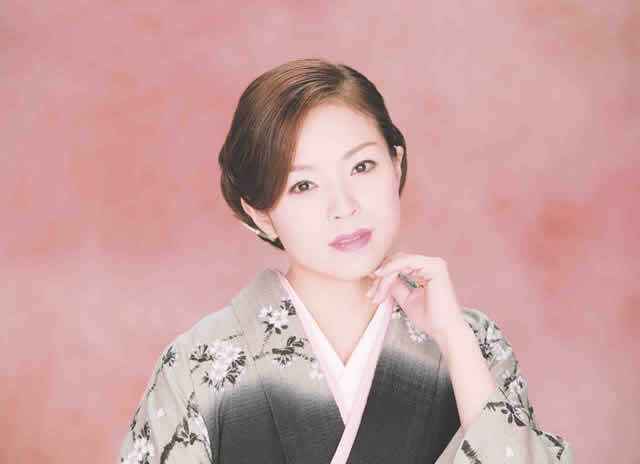 In 2003 she was the first Enka singer ever to become a character on a computer game. Ishihara became a character on TAKARA’s “Shin DX Okumanchoujya game”. On New Years Day of 2004, she sang the Japanese National anthem “Kimigayo” at the opening of the Emperor’s Football cup ceremony at the Kokuritsukyogijyou. On May 21st and 22nd Ishihara sang in Saint Petersburg, Russia for the Sakura planting ceremony as the commissioner of Foreign Ministry of Affairs. Also on the 26th of May she was commissioned as the first “Hida Mi Sightseeing ambassador”. On October 9th of 2008 Ishihara celebrated her 20th year of debut by singing Kayouroukyoku for the first time at her 20th anniversary recital “Ima Kansha wo komete”.